One of my locks for my electric panel door refused to open. I disassembled it and it's broken. Anyone know where I can get a replacement? The lock is made by Chicago Lock, now Compx. No other lock will fit according to a locksmith I talked to. Below, are the three style locks/keys that are predominantly found on a Barth Compartment Box. 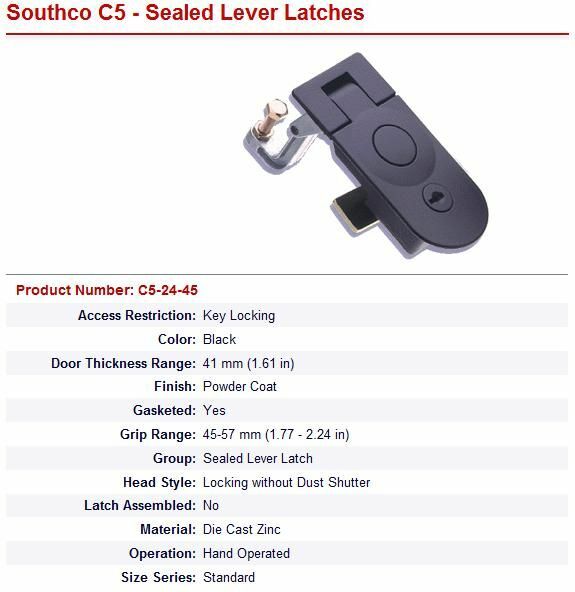 2) The Southco style locks. ECP Hardware Co. in the suburbs of Detroit Michigan. 1-800-442-3274. These are identical in fit as the originals,the changes are the front of the lock is "Powder Coated" in black and the two mounting screws are now a metric thread. The new numbered key fits both the old and new locks. The new keys open the old locks much easier. Thanks again Bill! An exact fit. The locks cost about 35 each but it beats opening the compartment with a pry bar! Glad I can be of service to you. 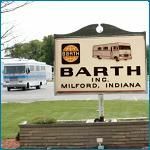 Southco will not sell directly to individuals, but will sell to a company (if you happen to own one). The minimum order is 5000 dollars. HOWEVER, Allegis in Minneapolis, MN is an authorized distributor and carries these locks in stock for a grand total of 15.77 each and new keys are included with each lock. Allegis Corp can be reached at 1-866-378-7550. I also contacted ECP as listed in the original post and found them to have a 35 dollar minimum order and a 25 dollar price per each lock. SouthCo WILL provide *sample* keys for free and might send you a couple of *sample* locks/latches if you call customer service or send them an email. Allegis will not sell directly to individuals. Southco will not provide sample keys or sell to individuals. They were very helpful in providing numbers for distributors that carry their products and sell to individuals without requiring minimum orders. ECP Hardware (800-442-3274) as originally posted, sells to the public with a current price of $36.37 for the E3-35-35 locks. 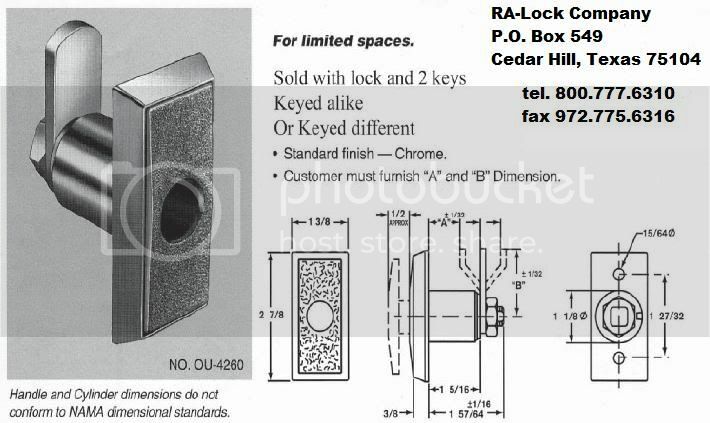 Austin Hardware (800-220-8118) also sells to the public with the same $36.37 price for the locks and $4.75 ea for the E3-5-15 key. 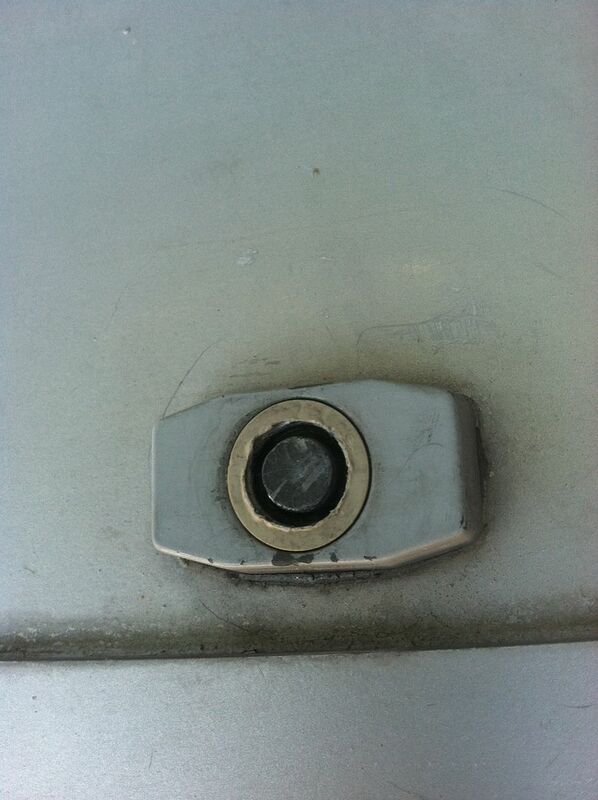 Anyone having issues with their locks that has an old key should really try a new key before replacing any locks. I have three locks that my old key will not open. The new key opens them perfectly. I bought a new lock, after I destroyed it last year in the Seattle location. No problems at all, I just went in, the guy went into the back and came back with the lock in 2 min. I don't remember how much it cost I think $20ish or so. The body shop put the new one into the new door, painted it and it is good to go. I don't have the phone number, but it was on First Ave in Seattle in the industrial area.I did not try to buy via mail however, I just took the damaged lock into the store. There is a distributor in Seattle, All-West Components and Fasteners, I don't remember what street they are on but their price for the tubular locks was $68.50 for one or $35.80 for two. Their key price was $27.95 for one or $18.25 for one. "When injustice becomes law, resistance becomes a duty." Before I order 14 locks for my rig, I want to just get confirmation that E-35-35's are the right ones to get. 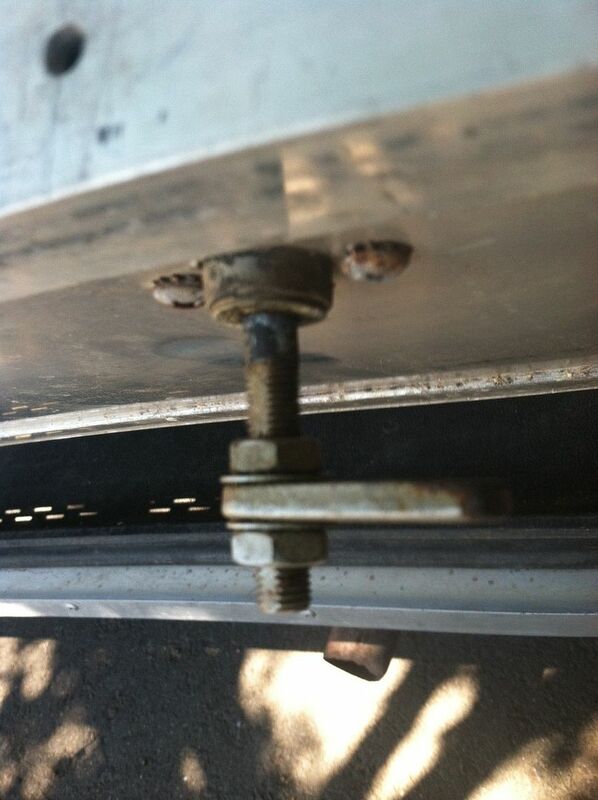 You can remove the pals from your original latches and put them on the new ones. You will need to acquire longer mounting screws and I do believe they are metric. At the time I was in contact with SouthCo, they did send me 2 sample keys and 2 sample latch sets. I bought my latches at Allegis Corp and was able to pick them up at will call.